Which consumer and product segments are growing? What are their needs and unmet needs? Where should you invest your money over the next 5 years? 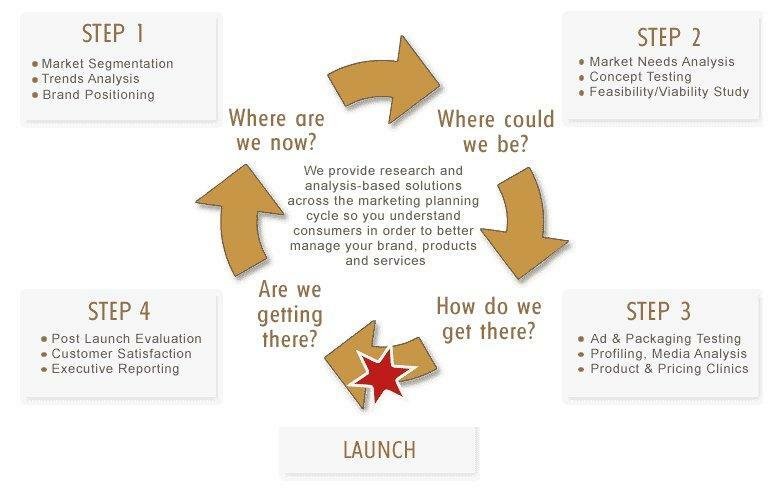 What is the feasibility of launching a new brand, product or service and what should your customer value proposition be? What does the target market think of your brand and competitors? Who is your target market? What media are they consuming? How do you reach them most effectively and efficiently? Is the market price sensitive? What is the optimal pricing to maximize your sales and profit? Did you achieve your strategic and tactical objectives? What was the ROI on your marketing spend? Where can you improve? Our approach ensures that the business information that we provide is customer-centric and actionable so that you have a holistic picture of your business, brand, products and services. As a market research company in South Africa, we help businesses make better, more-informed decisions that reduce risk and improve accountability, especially when economic conditions are challenging. Ultimately, these knowledge-driven organisations INVEST IN THEIR FUTURE SUCCESS and make more profitable decisions. We have a portfolio of case studies from various industries that proves how our marketing planning and market research solutions can add significant value to our clients’ business. We provide total management of your market research needs, either on a project basis or we can become your external market research department on an ongoing basis: from developing hypotheses and designing effective studies to comprehensive data analysis and management reporting. Being a Proudly South African accredited company, our priority is on quality assurance through stringent tried-and-tested systems and processes enabled by world-class technology. We are experts at doing both quantitative research and qualitative research, as well as desk research and use the best combination of methodologies that answer ALL your business and marketing questions. We have a national team of over 500 field interviewers and recruiters who are carefully managed by supervisors. Our call centre team has 150 permanent trained staff with state-of-the-art technology, 100% recording and making over 100 000 outbound calls per month. This allows us to conduct market research across all consumer and business segments as well as both Urban and Rural market research in South Africa. Through strong partnerships with fieldwork providers, we also have a significant market research capability across Africa, India and the UK. Our data analysis delivers information that is business oriented and guides executive decision-making. We are able to fuse behavioural and attitudinal data to deliver powerful insights and ensure the highest quality via excellent data management processes. Methods are only a means to an end – we are able to interpret outcomes and convert them into actionable information.